Following the untimely passing of Linkin Park’s Chester Bennington, Mike Shinoda sought catharsis the only way he knew how: music. 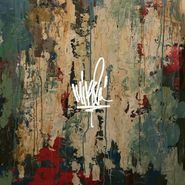 His first solo album under his own name, Post Traumatic, was never intended to be as such, as Shinoda first turned to recording more as a therapeutic coping method rather than planned artistic statement. The act of doing so, however, led to Shinoda reconnecting with “why (he) started making music in the first place,” and eventually resulted in these 16 tracks. Post Traumatic is a whirlwind of emotion; at times melancholy, angry, or peaceful, over moody hip-hop-influenced electronic pop.